Our DesignRail® pre-engineered, component based, aluminum railing frame systems combine the durability of aluminum with the innovative design details that assure structural integrity while drastically reducing long term maintenance expenses. 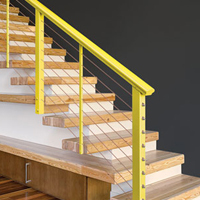 Our aluminum railing systems are easy-to-install, attractive and cost effective and are available in a wide range of standard and custom powder coat finishes with a variety of cap rail design options as well as picket, glass or cable infill options. 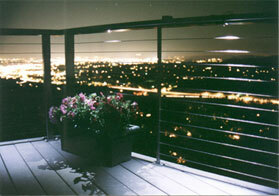 Read on to learn more about Feeney's versatile aluminum railing systems. 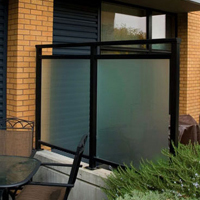 Durable powder-coated finishes offer superior color retention, impact resistance, and weather protection. Available in an assortment of colors that meet rigorous AAMA-2604 coating specifications. Low maintenance with long use cycle: no rusting, cracking, peeling, or repainting. 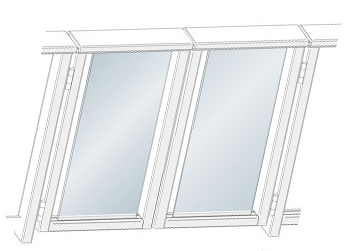 Detail drawings and 3-part specifications available, along with toll-free design assistance and technical support. Aluminum railing systems are available in a wide range of standard and custom powder coat finishes with a variety of Cap Rail design options as well as picket, glass or cable infill options. Click on one of the components below to learn more about Feeney's versatile aluminum railing systems. 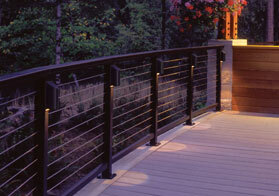 The DesignRail® line offers you more options to customize your unique railing installation. With the same high-quality construction and power coated finishes to match, you'll see why DesignRail® is the easy choice for a beautiful, durable solution for your railing needs. 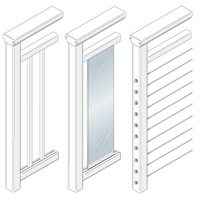 Feeney also offers prefabricated aluminum picket or glass infill panels to fit your existing wood railing frames. Save yourself the grief of sanding, staining, painting or refinishing wood pickets. 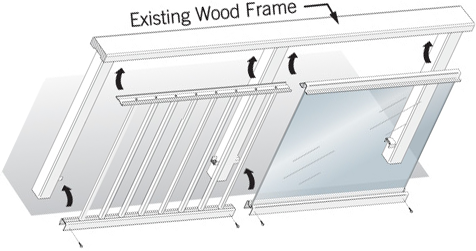 These easy-to-install, low profile replacements are just the ticket and can be custom fabricated to fit your individual railing design. 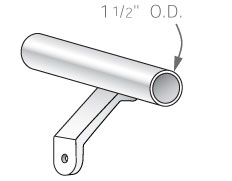 1-1/2" diameter, aluminum Grab Rails to meet stair railing code requirements. Custom bent and fabricated, ready-for-installation. 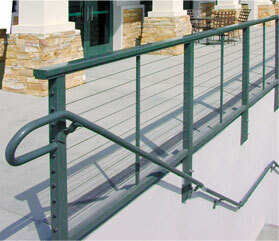 Custom fabricated to size and available for all railing styles and infill types. 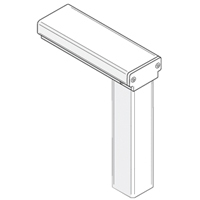 Used with picket, glass, and horizontal cable infill for creating railing designs with partial height infill. Sold in 10-ft and 20-ft lengths that can be trimmed to size in the field. 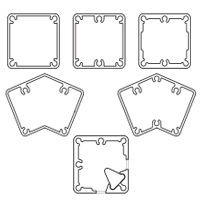 Attaches to post faces using Rail Connecting Blocks (RCBs). 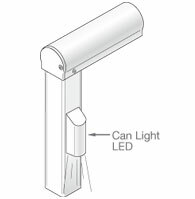 12 volt direct current LED lights. 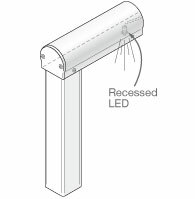 Option of recessed lighting under the Cap Rail and/or post mounted Can Lights. We do not sell transformers. Transformer and wires to be supplied by customer and installed by a licensed electrician.